You can increase the happiness and stability of your marriage! 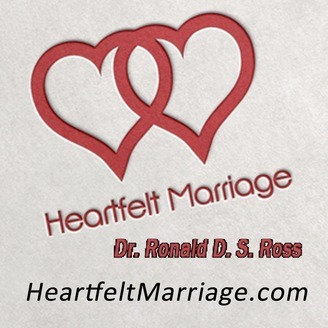 Heartfelt Marriage Podcasts will give you the attitudes and skills that empower you to have a mutually satisfying, emotionally strong, 'til death-do-us-part marriage! 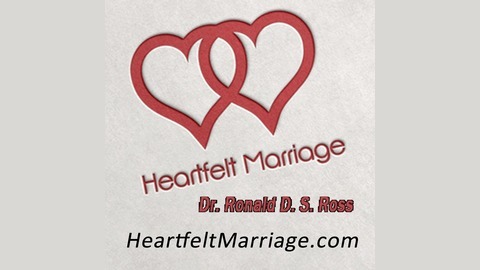 Dr. Ronald D. S. Ross, author, speaker, and marriage specialist speaks from his 52 years and 4 months of marriage to the same lovely lady. He speaks from a Christian worldview. The problem is, I started writing it and realized it was essential to the entire series. I found it impossible to deal with the love-hungry hearts theme in only one podcast. What happened was that this one theme – love-hungry hearts – has evolved into a series all its own. Its title is Seven Hungers of the human Heart. One of the blessings of growing old is that you have a lifetime of observations of humanity at its worst and its best. I have been around the world and studied people from a variety of cultures. I lived in Central Africa for seven years and watched the Batonga people and learned a lot from them about life and love and family. But I’ve also been to Europe, Asia, Central America, South America, and Canada. From my experience of over seven decades on planet earth observing men, women, and children in various parts of the world, I believe there are Seven Hungers of the Human Heart. This 9-minute podcast is an overview of the seven hungers.